Through its design, Old Wharf Restaurant tells the story of industry in Tasmania, capturing the tough life of the early industrial pioneers in mining, whaling, fishing, boat building and farming. 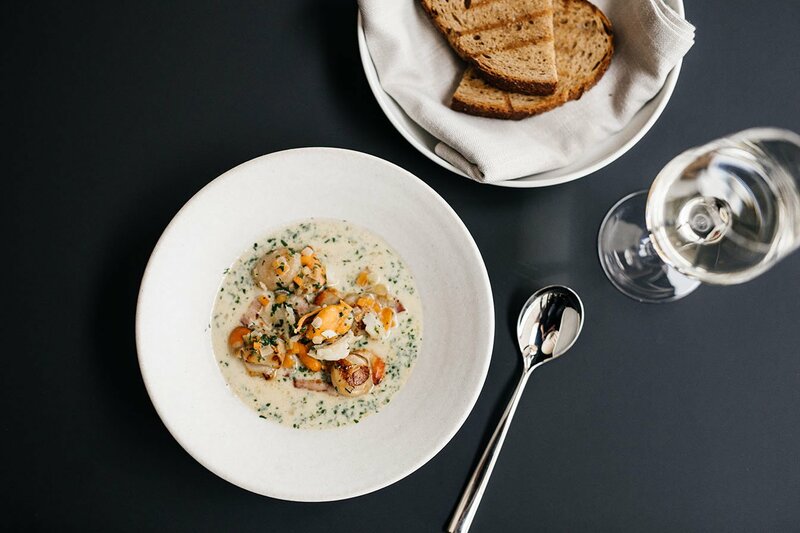 The hardy environment of those early days is reflected in the restaurant’s raw and robust design elements, incorporating iodised steel and recycled wharf timbers. 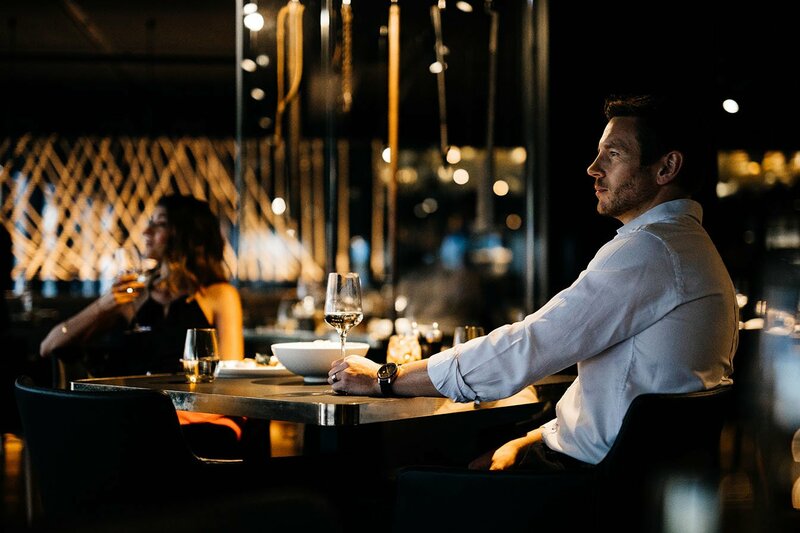 Led by Saffire Freycinet’s former Head Chef Simon Pockran, Old Wharf Restaurant’s seafood focus perfectly complements the backdrop of passing cray boats. From the restaurant’s dockside deck, you’ll be in thanking distance of our hardy fishermen. Locally sourced ingredients are delivered in a menu that hinges on Tasmania’s pure produce and latest catch. 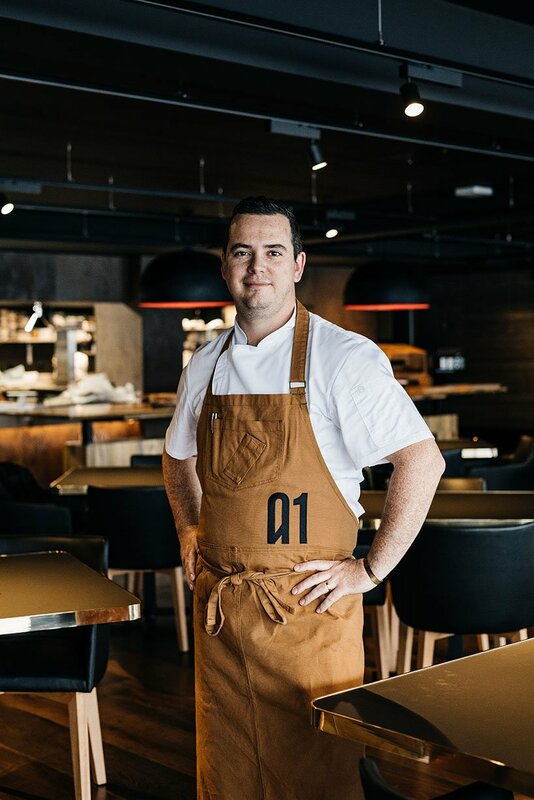 Opt for the Chef’s Table experience for five courses from the open-style kitchen served with stories of produce origin and some ripping Tassie yarns.